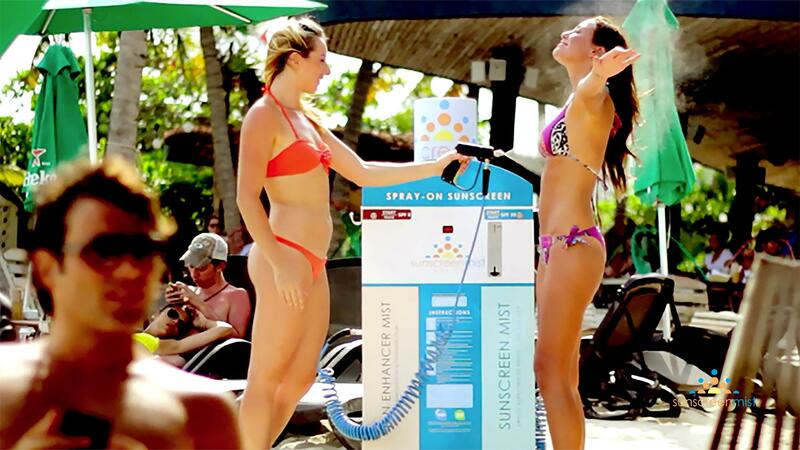 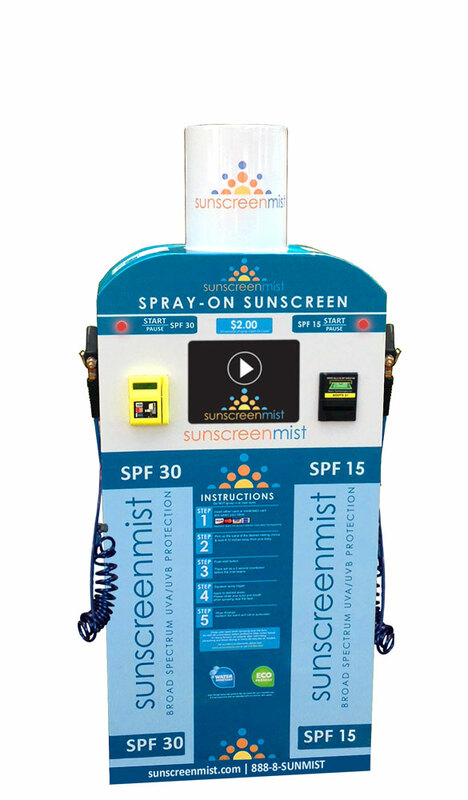 Let’s discuss how you can profit from having your own branded Sunscreen Mist Spray Station! 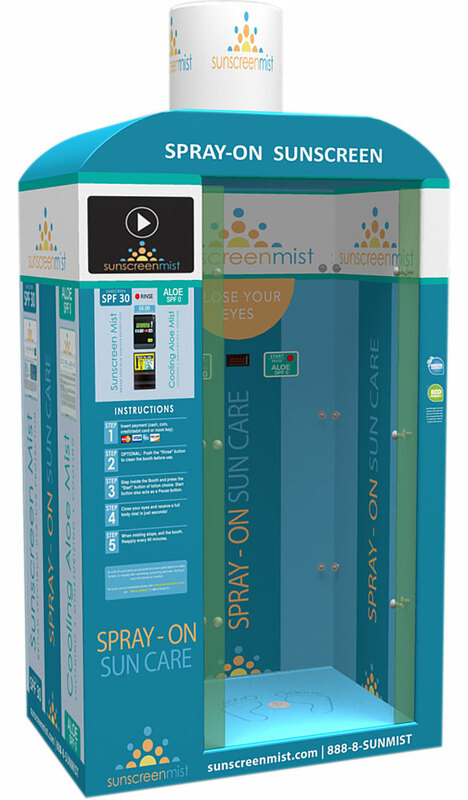 Automated, self-contained, self-cleaning, walk-in sunscreen spray booth. 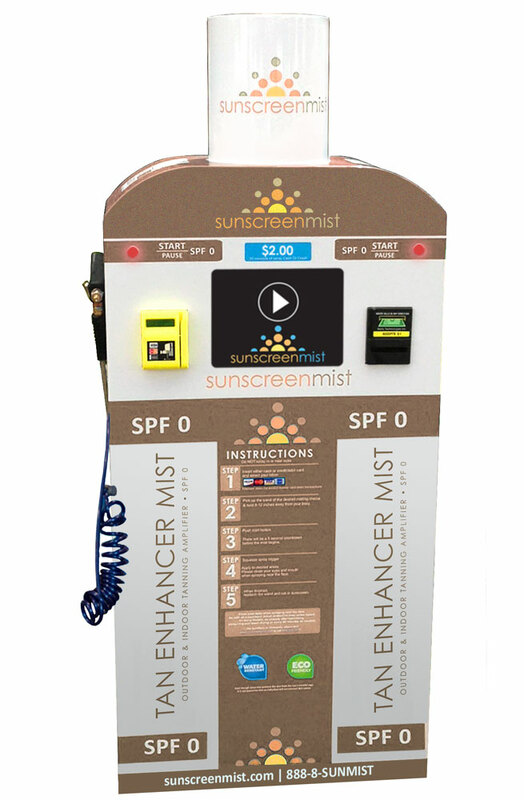 Features dual application of Sunscreen Mist skin care spa products.